Portland, Oregon duo, The Slaves, only have a handful of releases under their belt so far, but it doesn’t mean they haven’t left their mark. 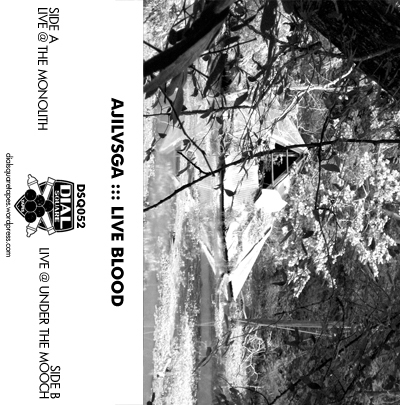 Operating in the void somewhere between shoegaze and doom, this is music that is stretched to its breaking point and epic in the true sense of the word. Barbara Kinzle and Birch Cooper know how to fit within each other’s movements, piling on in all the right places and knowing when to pull back. Spirits of the Sun shows their singular focus at its peak. These four dark and lush dreamscapes stretch their claws, dig in, and never let go. The Slaves have no qualms about who or what they are. The formula is simple: guitar, synth, voice. Yeah, there’s some effects thrown in for good measure, but this is music that thrives on how well it’s written and performed rather than because of endless lists of gear. Kinzle’s synth work is where the backbone begins, but Cooper’s caustic guitar raids are always lurking, waiting for the perfect moment to disrupt the harmonic elegance. It’s these layers of smeared guitar chords and synth notes that add so much depth to each piece. It feels like you’re being swallowed by a sonic abyss and it’s only Kinzle’s narcotic, sublimely towering vocals that save you in the end. As her voice ascends on “River,” it becomes eternal. Throughout Spirits of the Sun, there is a dichotomy pulling in opposite directions. The Slaves create music that is simultaneously beautiful and grotesque. There’s a twisted dark side that is consistently being overshadowed by sounds that are overwhelming and majestic. Each aspect pushes and pulls, but the beauty and the symmetry win out in the end. By the time the album closes with the soaring “Born Into Light,” it is statuesque and firmly entrenched in the deepest reaches of your psyche. 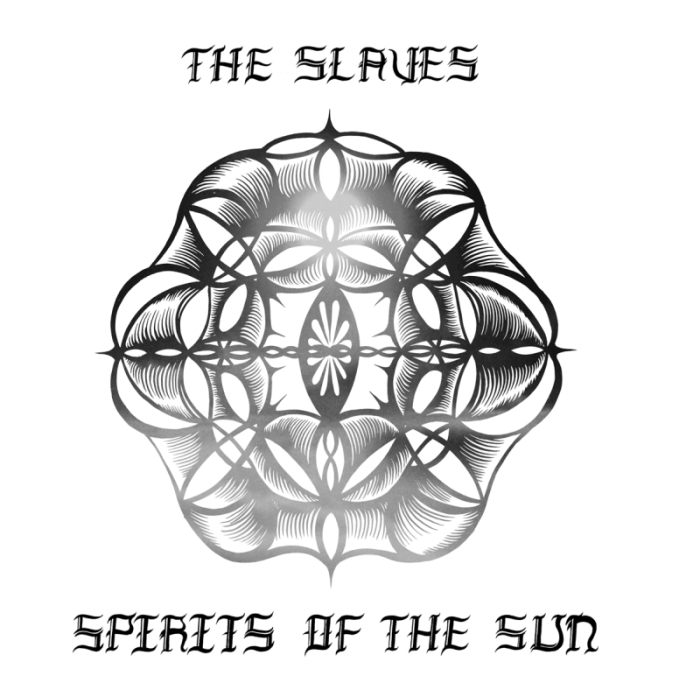 Spirits of the Sun is a force and The Slaves will guide you toward your own oblivion. Each tape is $6/$7/$8 in the USA/Canada/INTL. Email to order. In 1982, a small Canadian record label specializing mostly in classical music released “Heliograms”. 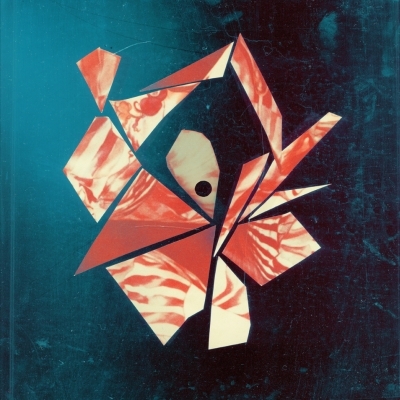 This was the first record by Canadian composer and video artist Jean Piché, and it was also one of the first albums to feature music produced almost entirely with digital synthesizers. But, due to an unfortunate turn of events, the label went bankrupt as soon as “Heliograms” was released, therefore relegating this essential piece of electronic music to obscurity. 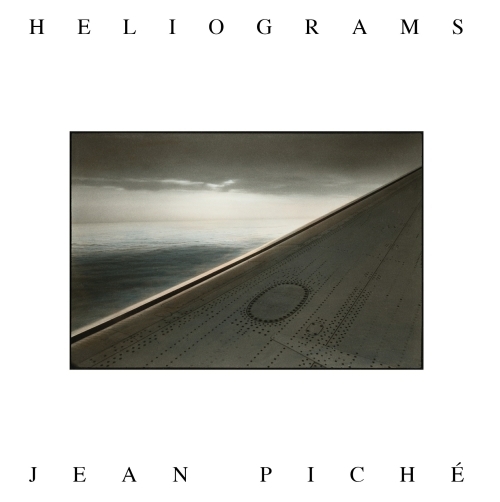 Jean Piché recorded “Heliograms” between the years 1977-1980 during his time at Simon Fraser University in Vancouver, BC. The music on the LP consists of works for computer, digital synthesis and acoustic instruments, and most of it was composed using the POD Interactive Compositional System that Barry Truax had developed at SFU. The four compositions that make up “Heliograms” are often dense, harmonically rich pieces that slowly evolve through time. There is a strong use of tonality throughout which characterizes Piché’s work during this period. It echoes a fascination with the music of Terry Riley, Steve Reich, and Lou Harrison, placing it firmly in a minimalist approach to electronic music, alongside the contemporary work of American composer Laurie Spiegel, then working at Bell Labs. The initial sounds that would end up constituting the bulk of “Ange”, the first piece on the LP, were created on the Systems Concepts Digital Synthesizer, also know as the Samson Box, during a residency at Stanford University, California, in the CCRMA facilities. The Samson Box was a powerful machine and the first of its kind. It was designed to synthesize complex musical events in real time using FM synthesis. As soon as Piché returned to SFU, he mixed all the tracks in a traditional analog studio and then proceeded to record the voice of Joanna Anonychuk, as well as his own voice, carefully blending these with the sounds generated with the Samson Box. 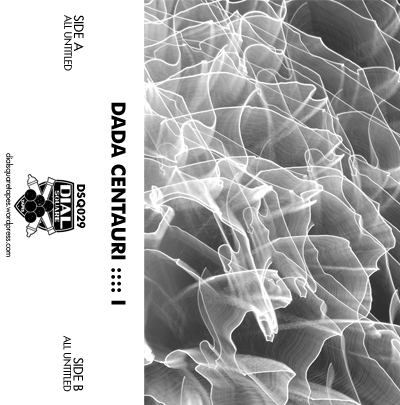 The result is a striking oceanic drone of microtonal frequency waves shifting in and out of focus. MX7 for MYSTERYSEVEN is another vehicle entirely with Ocampo burning the candle from the other end, looking for new modes of public broadcast. 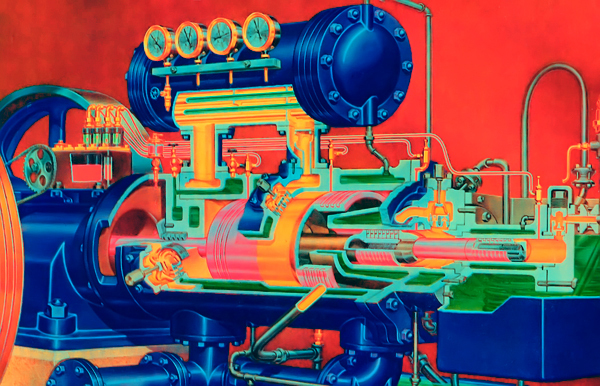 Context is stripped down to the basics and reconfigured into machinistic daydreams. 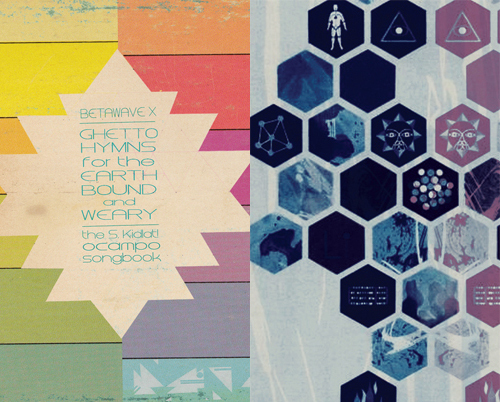 Academic in approach, “A Patient Transit” unfolds organically and uncovers heavy sonic truths. This is music that will integrate into your synapses, becoming a singularity within your fluid mind. It is living aural research. These simple ideas breed explosive results and each note, chosen with purpose, sings like an endless parade to the cosmos.. Your stars are my stars. Edition of 75, Chrome tapes. Thanks for listening, as ever! It’s been a long time since I’ve done one of these posts (actually, maybe I never have… I can’t remember. Alas…), but after a relatively slow couple of months as Eden & I have adjusted to our new reality (after months of dealing with a lot of stressful crap), we’re finally ready. We announced that we’d no longer be doing regular, large tape batches at the beginning of the year and bowed out of the mode we’d been operating in with a bang. 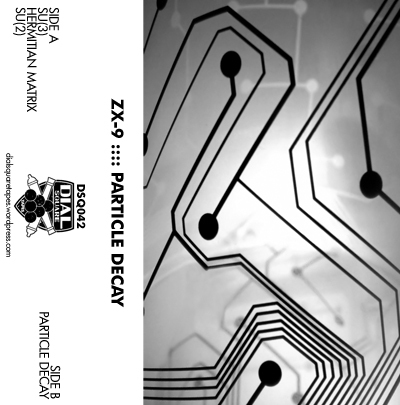 As we continue to evolve and mix things up we are planning irregular missives dispersed as they’re hatched in the form of small-run LPs (editions of 150 or less with digital versions also available), live performances, individual cassettes from Digitalis (runs from 40 to 75), & of course the rebirth of Dial Square. This all will coincide with our larger-run LPs in an attempt to create an aural conversation of what is happening within our various spheres. And also it will attempt to unearth a lot of great, often under-represented music. So with all that in mind, a busy summer begins this week with two new missiles fired on Thursday. Looking further down the line, DSQ’s gears continue to unthaw and the pipeline is open. 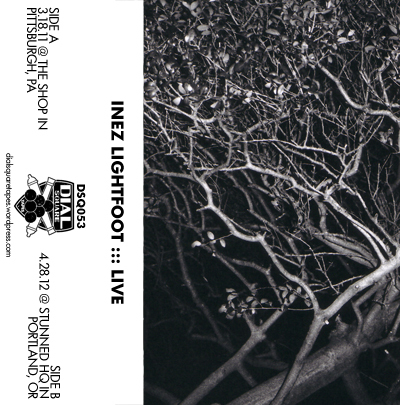 In a week or two we’ll have two live tapes, one from Inez Lightfoot and one from Ajilvsga, available. Following that will be a massive undertaking – the six-tape North Sea boxed set, Dismantled. As The North Sea will be put into indefinite hibernation following 2012, the project will go out in style. We haven’t determined, yet, how many copies of this box will be made and are open to taking pre-orders to quantify demand. It will be fully-assembled and ready for digestion in late June. The first of the short-run LPs (“I Was a Teacher” by Birch Cooper) will be available sometime in June as well. Charlatan will be invading Montreal as part of Suoni on June 9th, performing alongside Digitalis-mainstay Ricardo Donoso as well as Pulse Emitter & Le Révélateur. Digitalis is inching toward its 10-year anniversary and I think we’re just getting started. As ever, get in touch with questions, etc. After an absence of over a year, Dial Square is born again. First taste from this excellent duo from Calgary. Sci-fi droplets of synthetic ice cooling itself in the Earth’s magnetic fields. Skitzed-out beats that pummel melodies into the wormhole. Edition of 22. Each tape is $6/$7/$8 PPD in the USA/Canada/INTL. Email to order. Both tapes are now sold-out. Stay tuned for future editions around the bend. Paco Sala first came to fruition sometime in 2011 as Konntinent’s Antony Harrison began exploring a totally different side to his musical personality. In many ways, Paco Sala is the complete antithesis of what Konntinent is. What is most impressive, though, is that while each project has its own, distinct voice, both are showcases for Harrison’s incredible talent. Following up the debut cassette, Radial Sundown, that introduced Paco Sala as a new solo vehicle for Harrison’s love of hip-hop, Italo-disco, & synth-infused pop music, Harrison joined forces with vocalist Leyli. And that is when everything changed. Leyli’s voice became the perfect muse for Harrison’s squashed productions, adding an elegance and airiness to the dark, heavy-handed crunch. This is most evident on the show-stopper, “Spiral.” Leyli’s voice is divine, streaming skyward as it twists into endless, delicate shapes. The plodding, hypnotic beat and tropicalia-infused loops are the perfect backdrop. This is the sound of being lost in a future dystopian Caribbean nightlife. It’s stunning. Elsewhere, such as album opener “Dumb Truths,” Harrison whispers sweet, unintelligible nothings on a star bed of blown-out beats and melodic sci-fi synths. Crystalline drops are compressed into fluorescent neon highways on the bass-heavy “Legacy Edition” while the title track is a muddy excursion to an underground club where everything is about to fall apart. Leyli slowly takes over the album’s first single, “Gifts of the Bloom,” with layer-upon-layer of wordless murmurs. Along with B-Side opener, “Tre’s Future First,” these two pieces show off Paco Sala’s Italo influence with stunted dance beats and catchy, yet minimal, synths. It’s the vocals, though, that continually push Ro-me-ro to another level and this is perhaps most obvious on the magical “Earn Your Stripe.” This is as musically understated as any piece on Ro-me-ro with Harrison showing incredible restraint in his production. Leyli, however, knocks it out of the park, wrapping the song with an intimate warmth. As she purrs, “We were in the wrong place at the wrong time,” nothing could be further from the truth. This is what it feels like to be home. Original art by Marie-Pascale Hardy. Mastered by Brad Rose and cut to vinyl by Rashad Becker at D+M Berlin.